At the end of January last year I was going through some stuff and I could tell I was having some major seasonal depression (it was a crazy cold and long winter) and I knew that I needed to start a project to get me out of the funk. 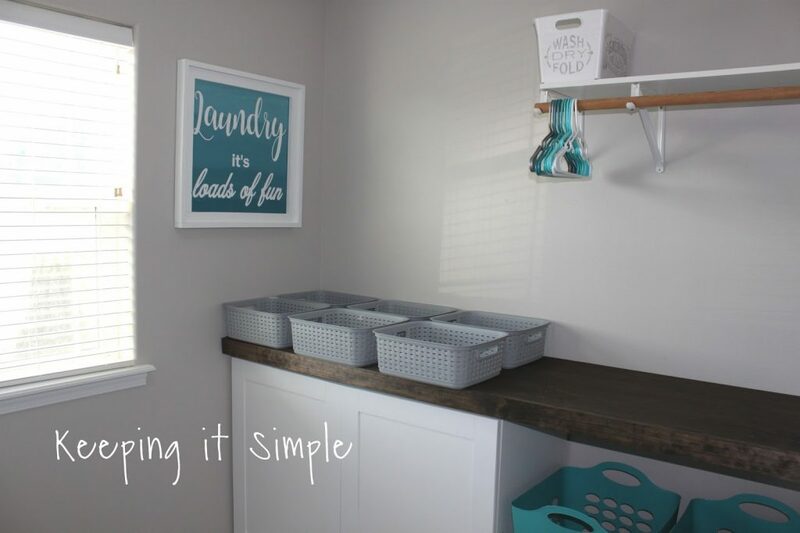 What I didn’t know when I started that project is that it would cause the snowball effect and I would then pretty much redo my whole house within a year’s time. 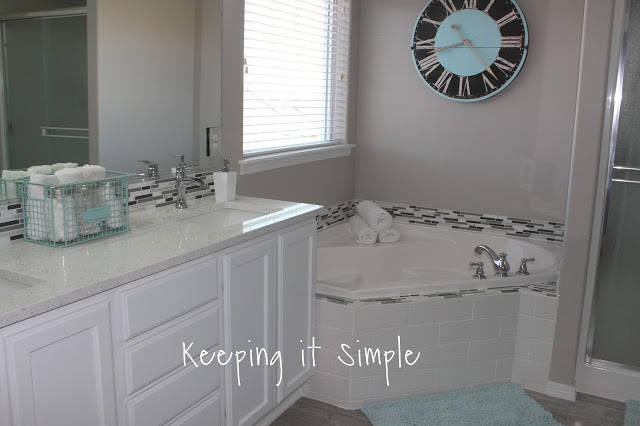 It all started with redoing my master bathroom and turning my very brown/beige bathroom into white and grays, I loved it so much that I kept the theme through out the whole house! 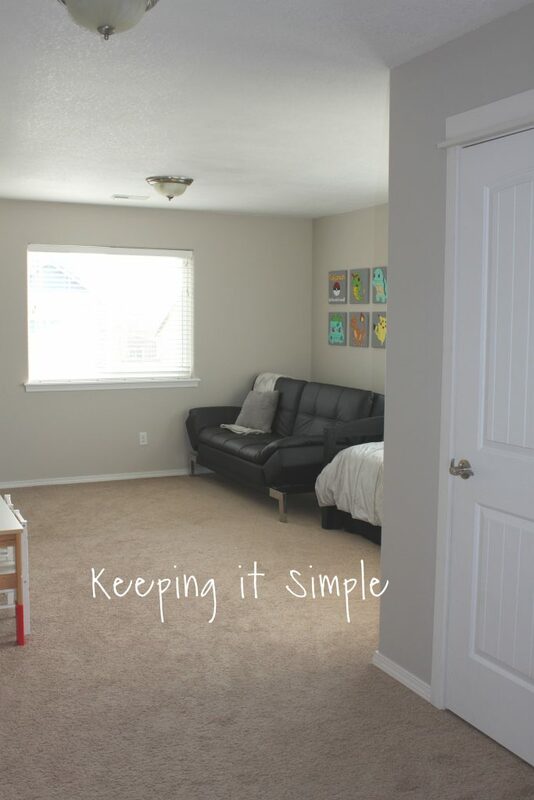 Well I am now about 90% done with my house (there are a few bedrooms I need to paint and eventually want to get new carpet) but I wanted to share with you a home tour and the before and after pictures. I love going through and looking at the differences, there have been a lot of changes over the past three years! There are going to be a LOT of links in this post, directing you to the tutorial on how I made things and the complete makeover for each room. So here is the post that I did 3 1/2 years ago. We had just moved in (4 months before) and I was decorating my house with these that we had already or things that I bought at a garage sale and painted. 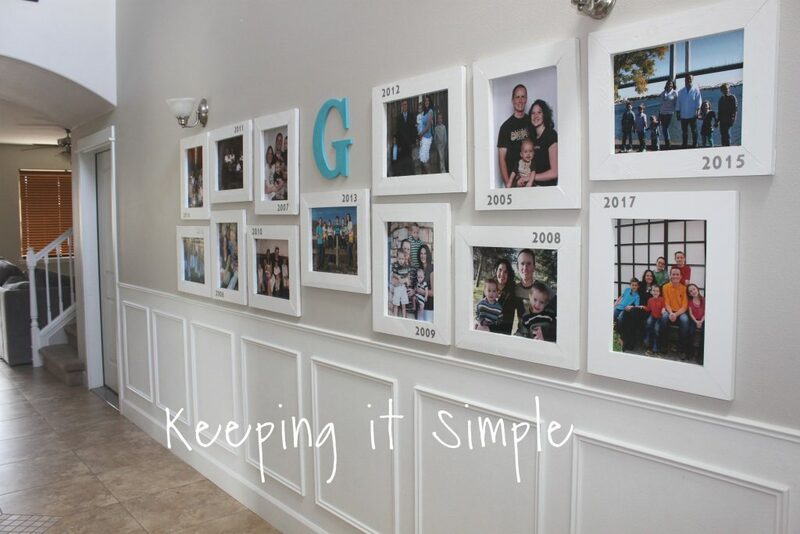 As the years went on, we were able to afford more and I could buy new furniture rather than just trying to make things work. Well I’m happy to say that I absolutely love my house and the changes that we have done over the year :). 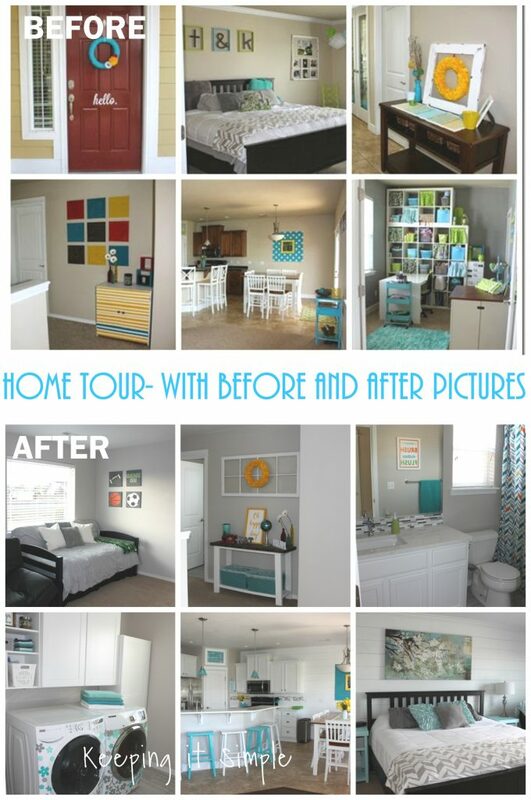 Now it’s time to start the home tour :). I have basically painted my whole house. It was a nice beige color (including the ceilings) but I wanted more gray so I went with a warm gray called Worldly Gray. 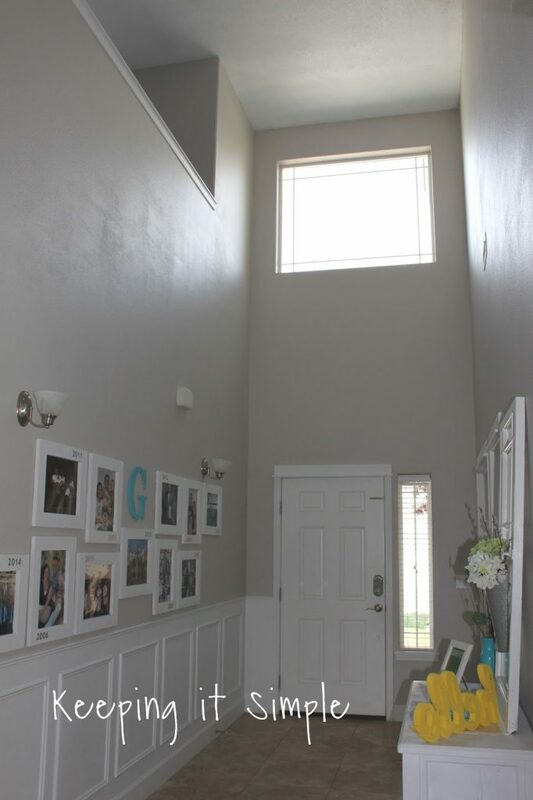 Let’s start with the entry way. There hasn’t been a ton of changes, except for some paint on the walls. I still have the old family pictures on the wall, but I have added to them. They are up to date now and I love looking at them and seeing how much our family has grown and changed. 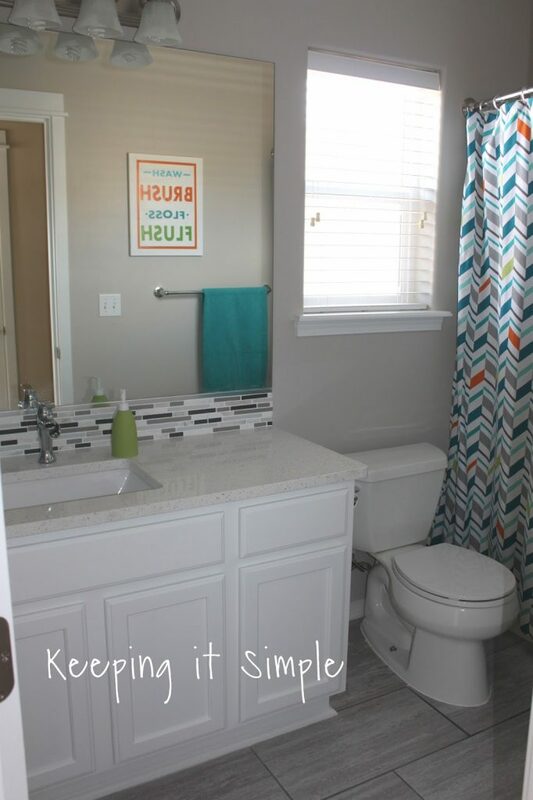 Right off of my entry way is our 3/4 bathroom. Here is the before pictures of that. It was a pretty sad bathroom. 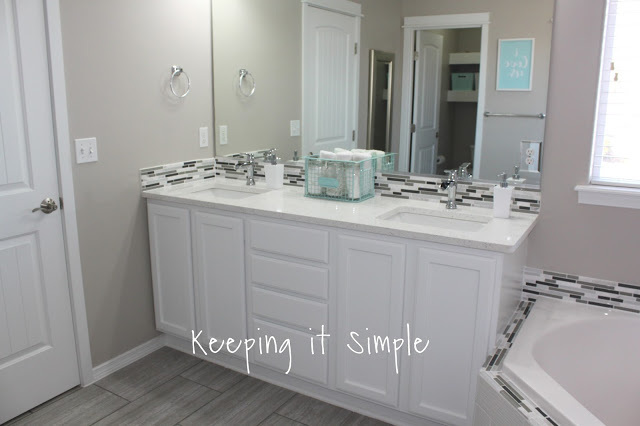 We built shelves in there, added a new vanity, board and batten, a new mirror and painted. 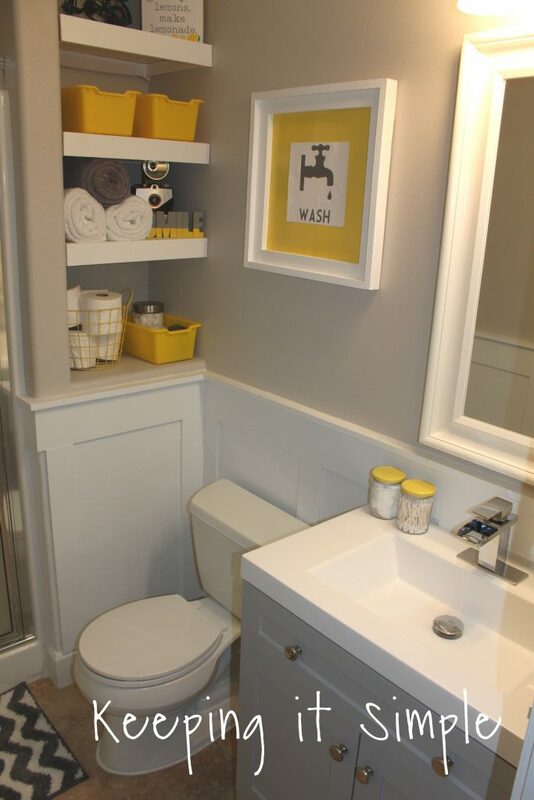 To see the whole bathroom, check out this post. 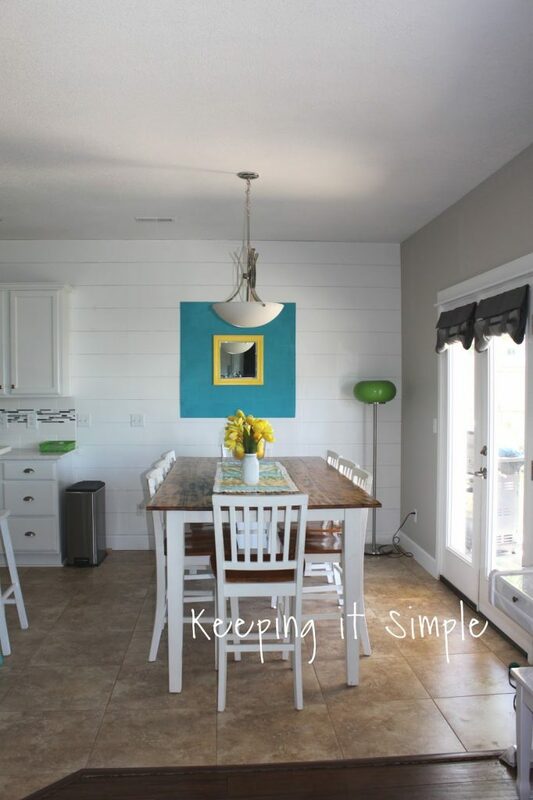 Next in the home tour is our formal living/dining room. 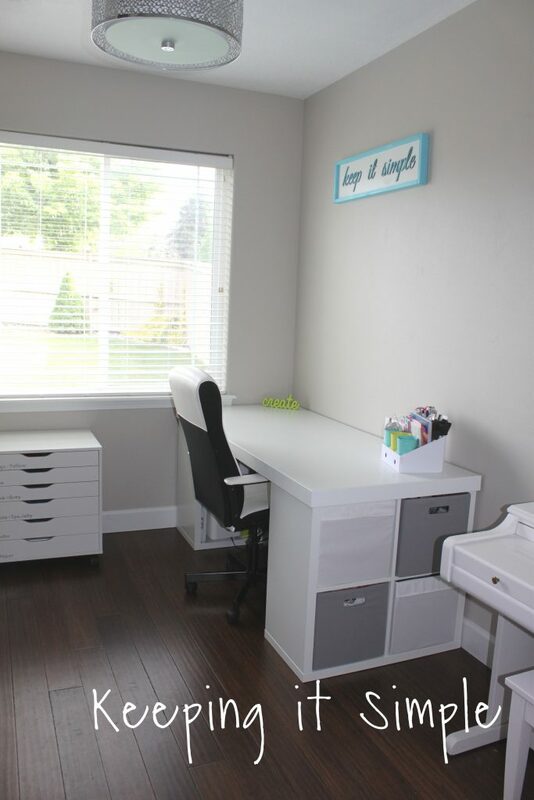 We used this as a formal living for a year or so and it was great except for it felt like wasted space for us, so we turned it into an office/craft room and made the space more functional! 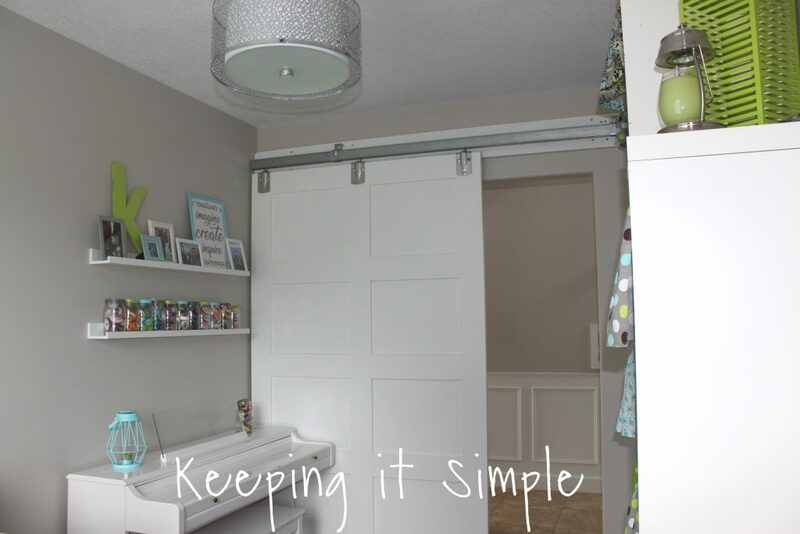 We built a large barn door and then created a space just for me, my craft room. We put in some bamboo hardwood flooring too, it really updated the space a lot. 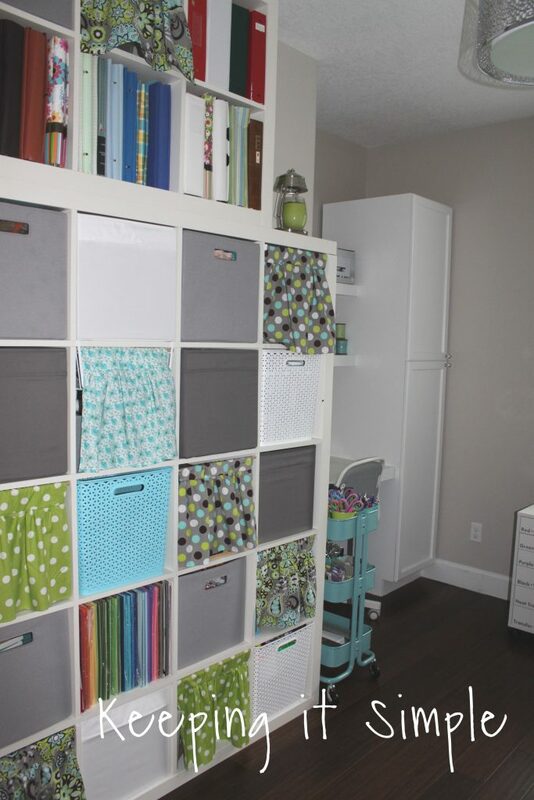 We built a nice and big craft room table for my craft room, so I have space to really create. 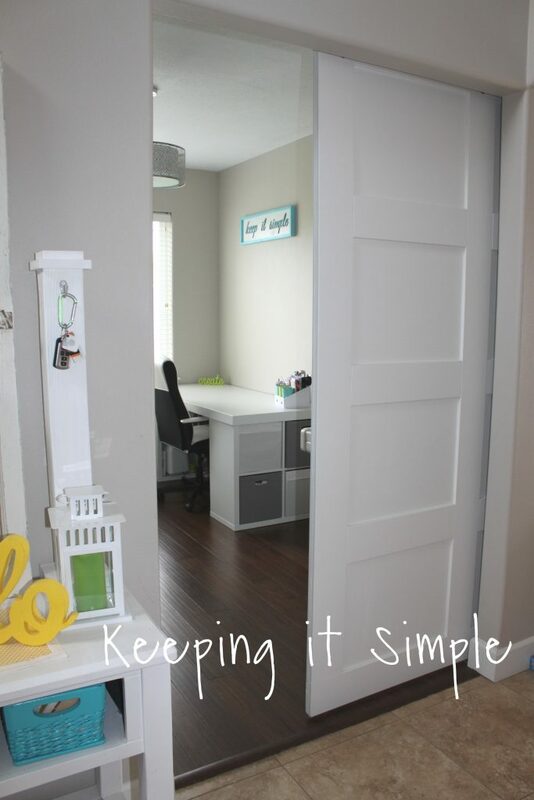 For the nook area, we built a desk and shelves and then added a cabinet to it, to make it more functional. 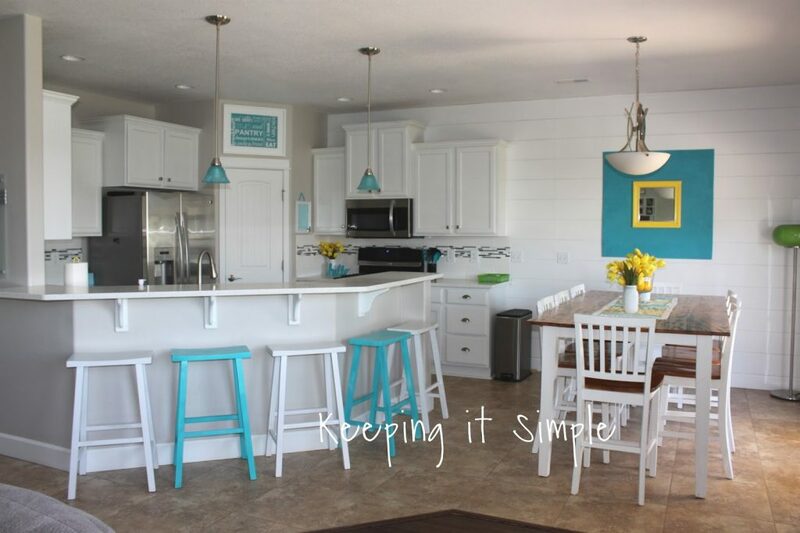 After my craft room and entry way, you walk into the kitchen/dining/living room area. It one big open space. In this room we changed the carpet and put in hardwood floors and then put mosaic tile on the fire place. The kitchen was one of our biggest projects. Here are the before pictures. 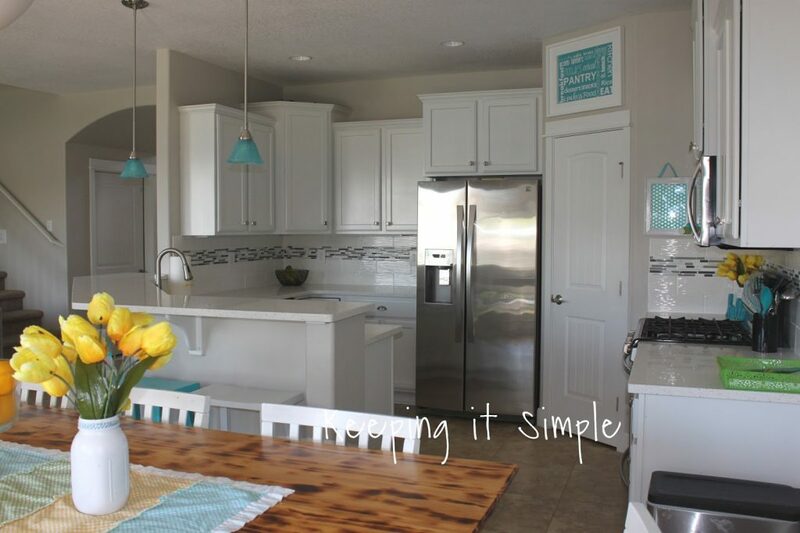 We didn’t do any kind of major renovation, just cosmetic stuff but it makes a huge difference (I wrote a big post about exactly what we did in our kitchen and the process, you can see that here). Oh how I love my kitchen. It’s so bright and white and just love it! Right off the stairs we have our garage. We haven’t done anything huge in there. 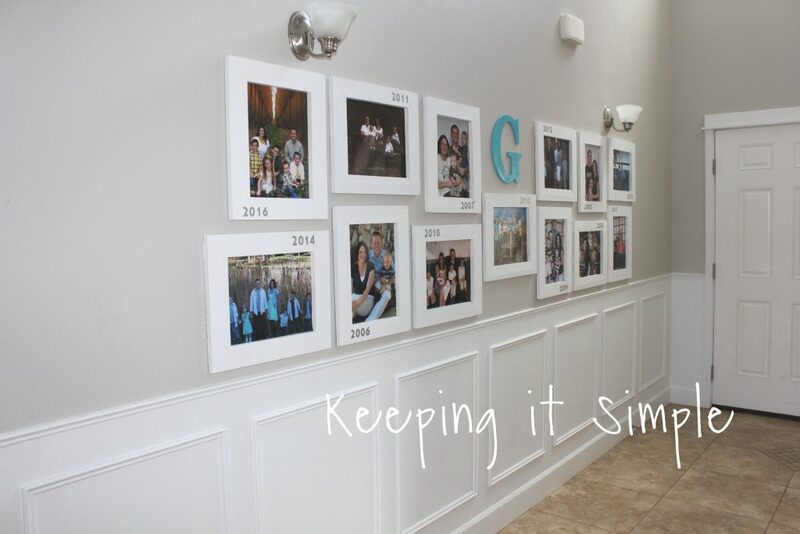 I don’t have a before picture, but just picture a blank garage wall (I think you can get the picture of it :D). 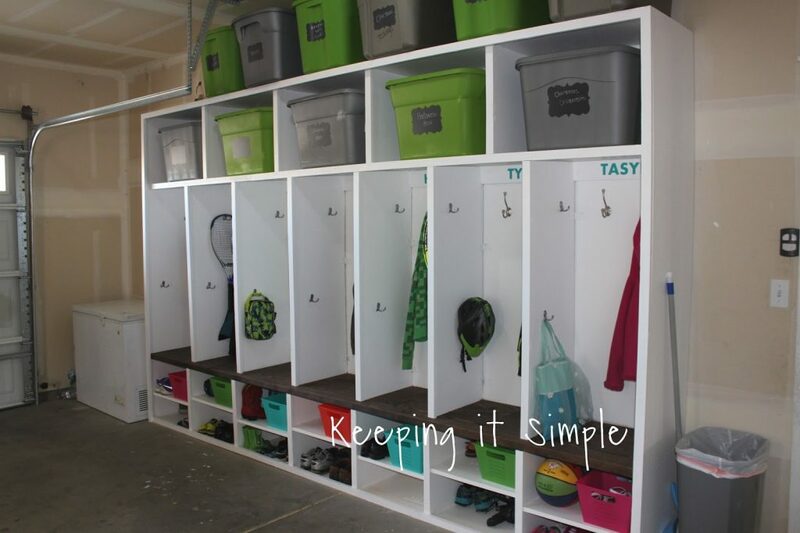 We made some mudroom lockers because we don’t have any kind of coat closet. This is still one of my favorite things we have ever built. 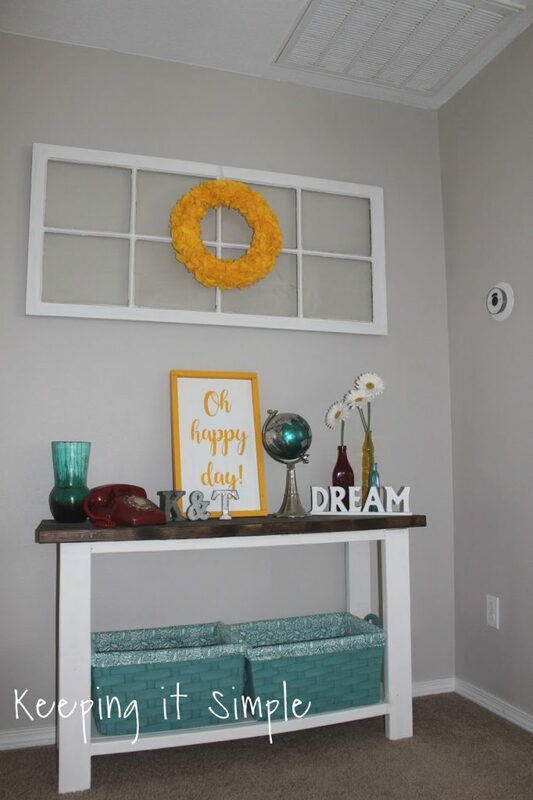 For right above the stairs, I built this sofa table and decorated it :). Then we switched the whole loft area around and put the TV on the other wall and got a sectional, so much better! I made a little sofa table for the side of the sectional too. At the top of the stairs we have the kids’ bathroom. It was dark and dingy and always felt dirty even when it was clean. Here is the before picture. 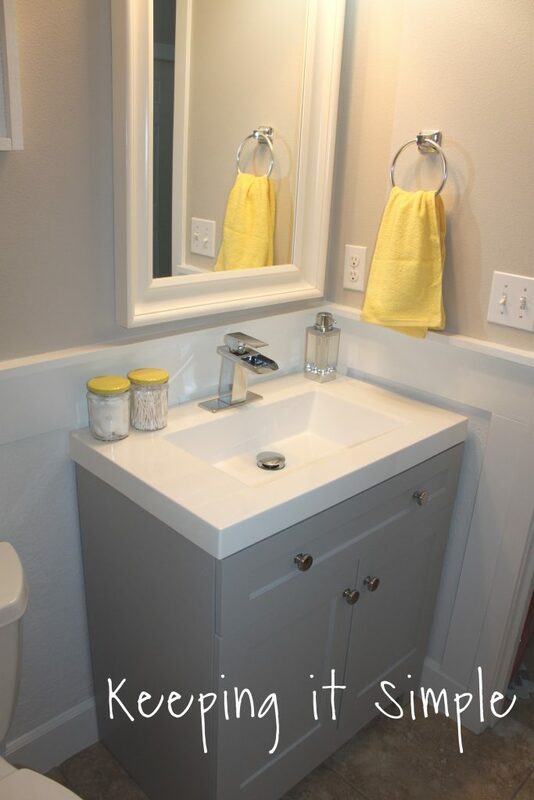 We did a complete remodel on this room, basically everything is new except the vanity (which I painted). 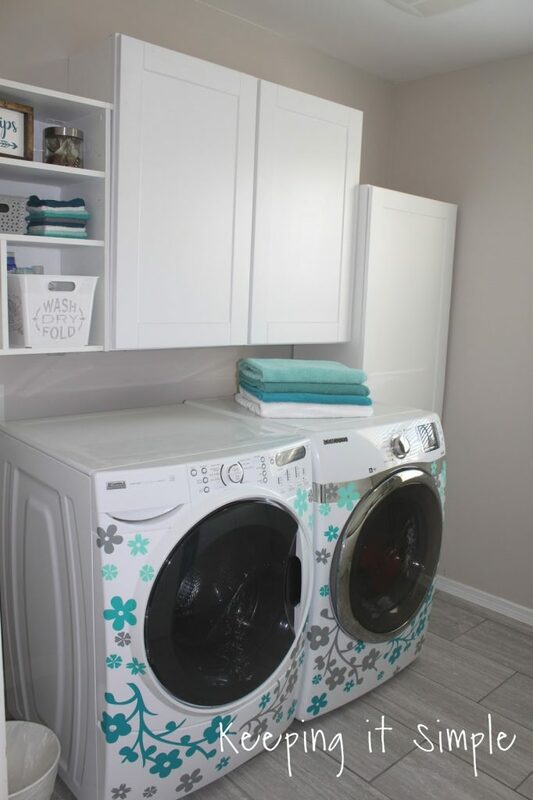 On the other side of the loft area, we have our laundry room. Here are the before pictures. This space was functional for the most part, so I left it alone for a long time. But then decided it needed a complete remodel too (to match the rest of the house). 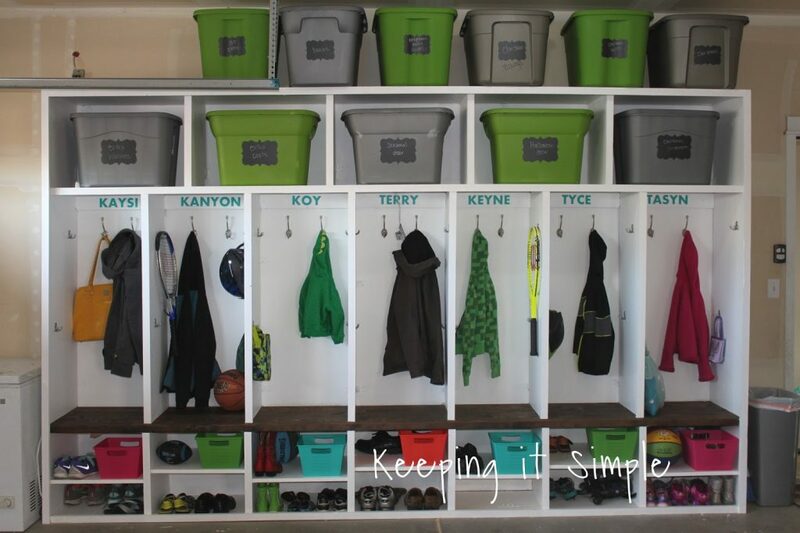 The laundry room is so much better now! 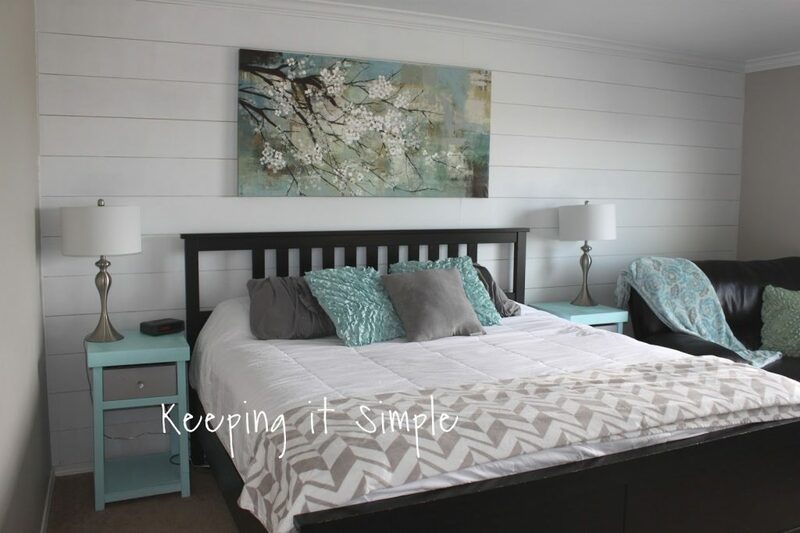 Right next to the laundry room is our master suite. The room that started the whole “let’s redo the whole house” phase, LOL. Here are the before pictures. 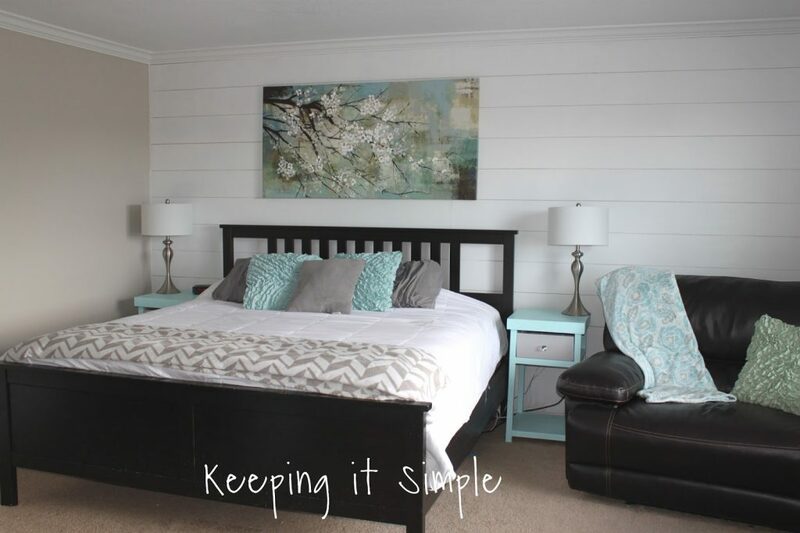 In the master bedroom, we added a shiplap wall and painted and got some cuter furniture, like the night stands I built. 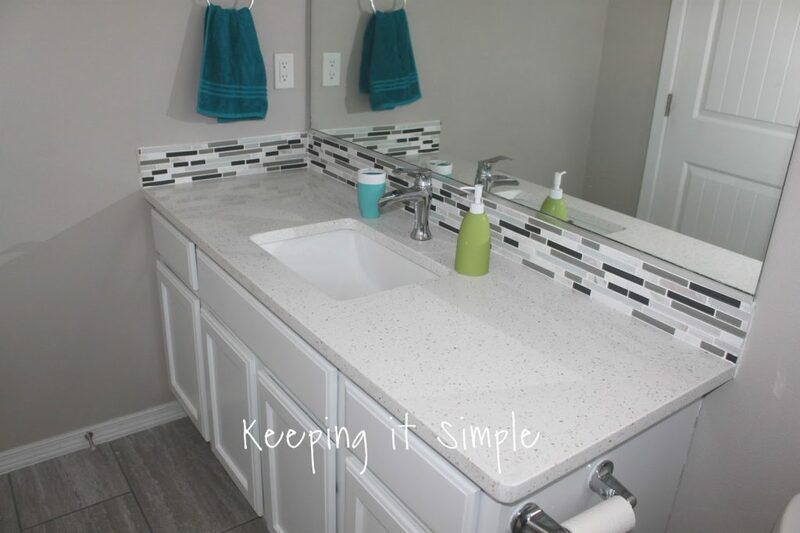 We did another complete remodel in the master bathroom. I love how it turned out though and everything that we did to it! 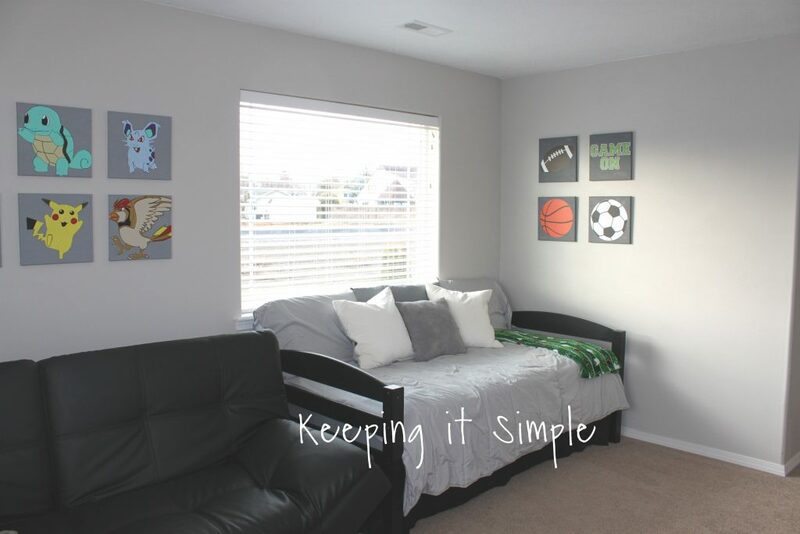 Across from our room is the bonus room, which is two of my boys’ rooms. Here are the before pictures. 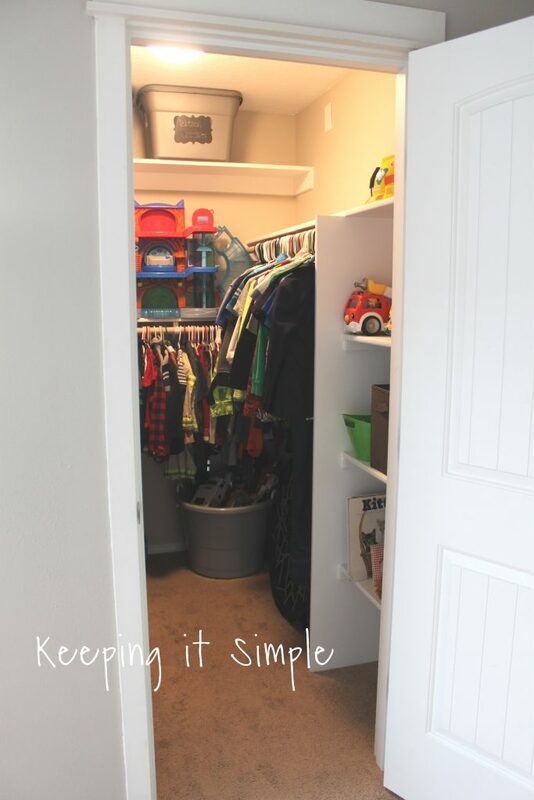 That room didn’t have a closet and we just used the wardrobes in the room (we tried to make it work) but eventually they started to fall apart, so we built a big walk in closet for that room and made it an official bedroom! As far as the outside of the house, we haven’t done a ton. But in the backyard we are slowly building things so we can entertain. 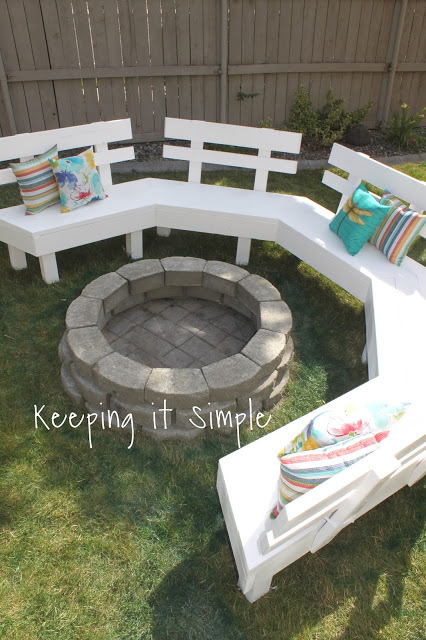 We build an awesome fire pit and then a sweet and big sofa bench to go around it. We love it during the summer time, sitting back and enjoying smores and watching movies on a projector. 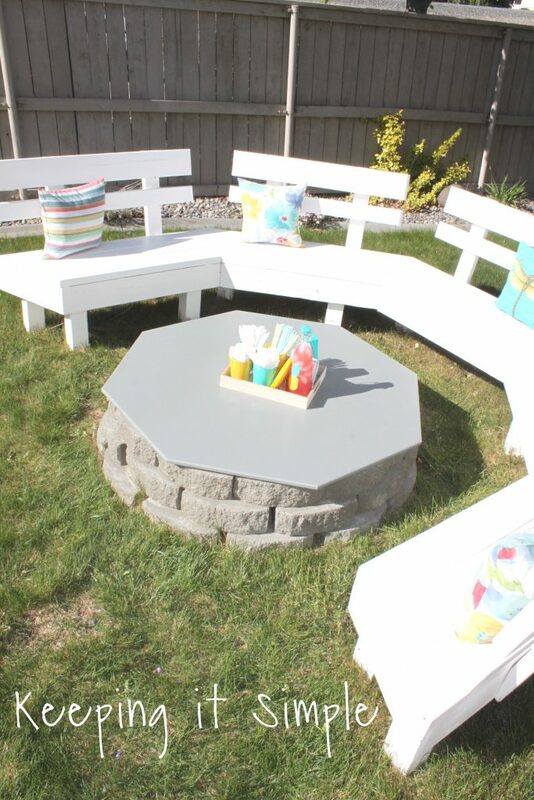 We added a fire pit cover/table so that we can enjoy this space even more! We spend a lot of time outsides in the warmer part of the year! We have put a lot of time and energy into our but I love everything about the changes that we have done! 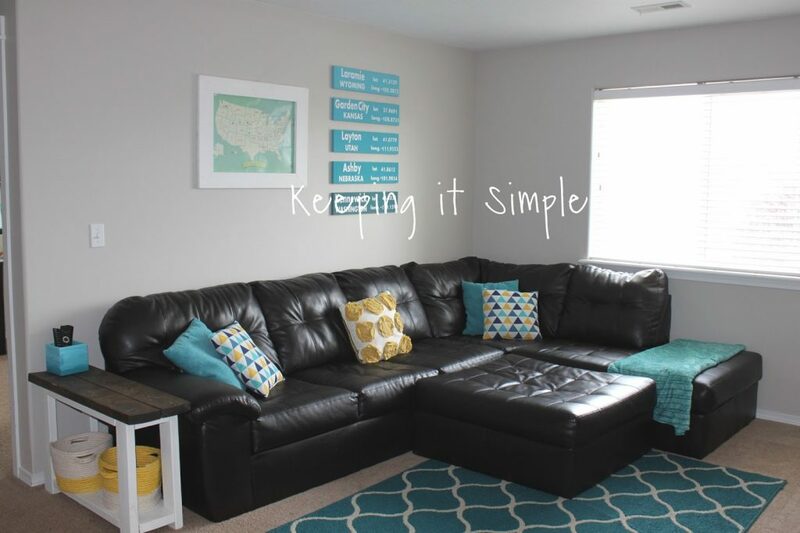 It has been so much fun putting my own style and personality into our house.